Updated: 3/29/19 the Exploring Pueblo Pottery project has since received a 2019 German Design Award and is the recipient of a Gold 2019 APEX Award in the Experiential Design & Planning category. Ideum’s Exploring Pueblo Pottery project, an experimental initiative designed to advance technological frontiers while providing new ways for people to investigate Native American designs, history, and culture, has received a prestigious Global Design Merit Award for interactive experiences from SEGD, the Society for Experiential Graphic Design. Out of 353 entries, only 37 projects were selected to receive an award. 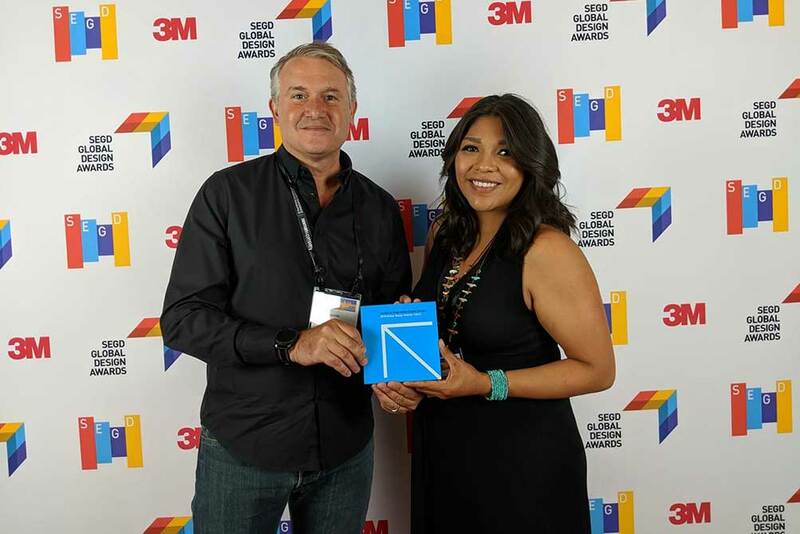 This weekend, Ideum Founder Jim Spadaccini and Acoma Pueblo artist Michelle Lowden journeyed to Minneapolis to accept the award at a ceremony held at the annual SEGD conference. Jim Spadaccini and Michelle Lowden accepting the SEGD Award in Minneapolis. 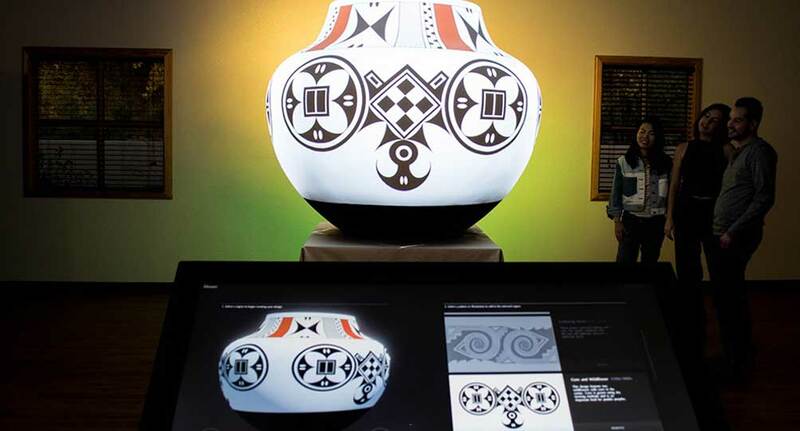 Exploring Pueblo Pottery uses an innovative 360 degree projection mapping system to let users explore traditional Acoma pottery designs. As visitors explore and select Acoma motifs designed by Lowden, the designs are projected on the complex curved surface of a large, four-foot olla, or water pot. 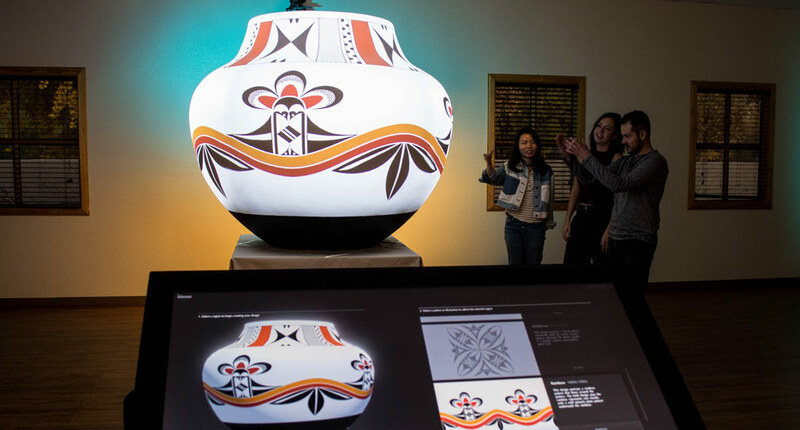 Seeing the pot come alive with these animated designs provides an ideal interactive platform for learning about the symbols’ meanings and and the ancient Pueblo culture they illuminate. Ideum employed state-of-the-art projector and projection mapping software from Christie Digital systems for the exhibit. Christie’s Pandora's Box was used to seamlessly blend the images created by 4 projectors arrayed around the pot. This marks the second consecutive year in which Ideum has won an SEGD award for interactive experiences. 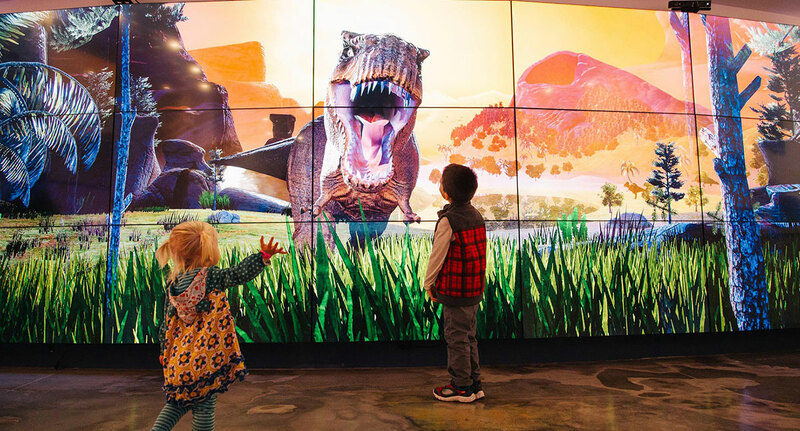 In 2017, Ideum received a Global Design Award for Dinostomp, an interactive video wall exhibit we developed with the Fort Worth Museum of Science and History. That exhibit employs motion tracking to make a fully-animated 3D prehistoric dinosaur scene come to life. 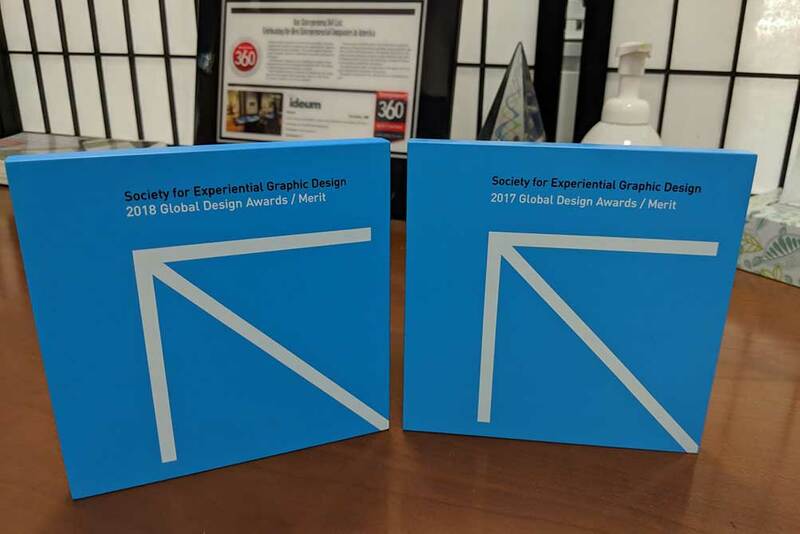 Ideum’s back-to-back SEGD Design Awards for 2017 and 2018. Artist Michelle Lowden is the founder and owner of Milo Creations, which specializes in hand-painted Pueblo jewelry. Michelle was born in the Pueblo of Acoma where she currently operates and resides. Her inspiration to reconnect to traditional designs through a contemporary medium began with studying her culture’s history of illustrious potters.